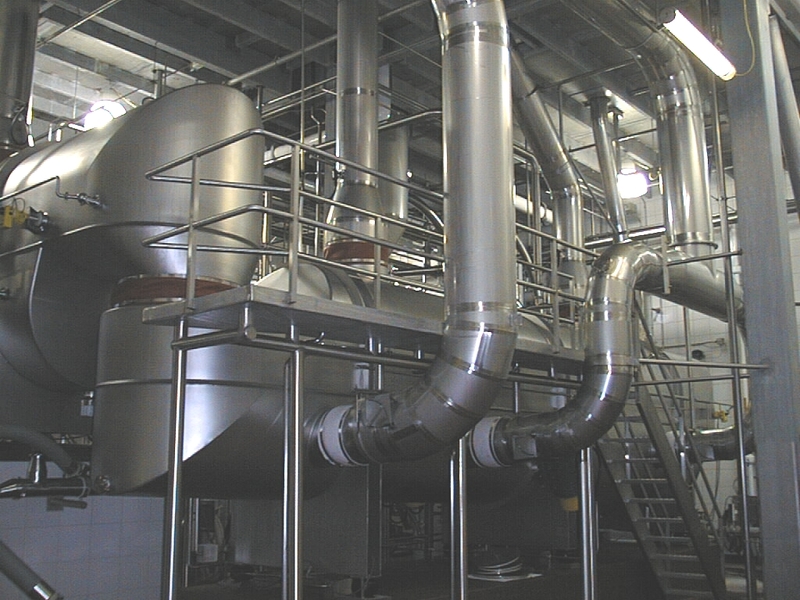 Fluid Bed technology is an energy efficient process to further dry, cool and/or separate powder particles. In general, when used in spray drying systems, powder falls by gravity from a spray drying chamber into a fluid bed. Warm and cool air is introduced into an air plenum for gentle final drying, cooling, and/or separation of powder particles. EDT fluid beds feature our new directional air disperser screen that provides optimum product fluidization of powder particles. The specially designed air disperser screen directs the powder flow towards the powder discharge while the fluid bed sidewalls remain free of powder build-up. The air disperser screen is designed to be flat and crevice free without pockets that cause powder flow disturbance. EDT fluid bed dryers are custom designed in accordance with USDA Sanitary Guidelines to fit the needs of the application. We offer a range of sizes and capacities from large process to small pilot size units. All EDT fluid beds are equipped with our heavy-duty manways, liquid-activated retractable CIP spray nozzles and fire suppression nozzles that provide safe and hygienic processing.